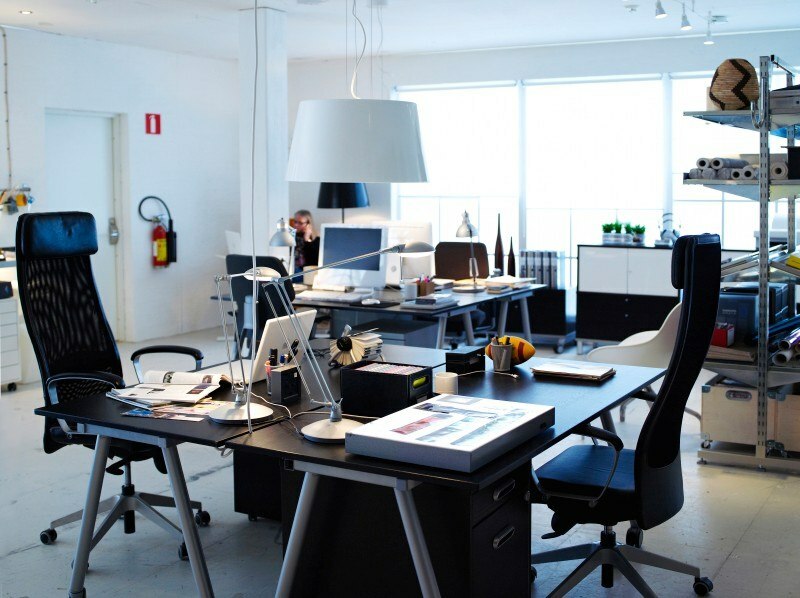 Is it easy to choose Armchairs for offices or at home? Let's look together. 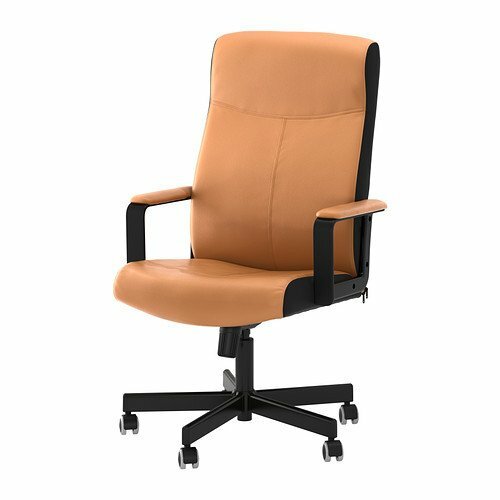 Of course, we choose office chair by means of IKEA Catalogue, Compare the advantages and disadvantages emphasize, pay attention to their design, shape, adjustment mechanisms, upholstery, vehicle and other details. Do not go around your attention to such important things as adjustment office chair height, backrest angle and seat depth. Our review will be constructed in such a way that everyone, regardless of budget allocated to the chair, chose the option that will appeal to meet all individual customer requirements. We include here a model called SNILLE, Alrik, VINGAL, Thorbjørn, Jules Clemens and STOLYAN (up to 3 thousand. Russian rubles). Cheap office chairs SNILLE presented two options - work chair and chair for visitors. They are made of polypropylene, respectively, extremely resistant to pollution, care is carried out with a soft cloth, dry or moistened with a mild detergent. Work chair SNILLE tested for maximum weight 110 kg, height adjustable, equipped with wheels with automatic adjustment. The color range of office chairs SNILLE quite wide: the traditional white and black, bright green and red, blue and pink youth. Visitor chair SNILLE has the same characteristics as the work chair, the only difference is the base: the working chair is rotating, while the chair for visitors irrevocable on two steel legs. Alrik - A budget model office chair on wheels, provided only in two colors: blue and red. Absolutely eco-friendly office chair which has been tested for compliance with standards. Alrik not difficult to clean, concise appearance, has no armrests, but the price for it is quite nice, and the function it performs its. VINGAL - A classic black and brutality attract the eye to this model of office chairs IKEA. Q-stable chair with a set of key features and benefits: height adjustment, automatic locking castors, durability, reliability, safety. The main part of the working chair VINGAL made of steel and leatherette. Thorbjørn - Seat upholstered in 100% polyester th, presented in three colors: green, pink and black. Thorbjørn has a very modern look and, no doubt, like the younger generation. 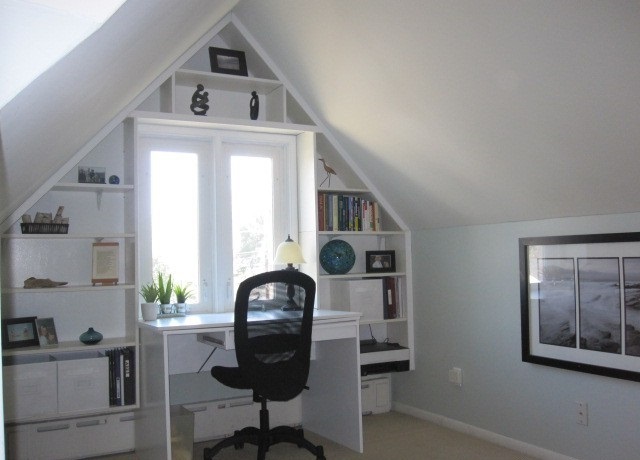 As an option, the manufacturer offers wheels ARTICLEWhich are operated in rooms with hardwood flooring. Those who worry about the appearance of the floor covering can make use of a special protective film in a series of outdoor goods kulun. The sloping seat Thorbjørn provides comfort even when you lean forward. Jules positioned as a chair for the student, falls into the category of chairs for children up to 8 12 years and produced in 3-x colors: white / silver, red, pink / silver. Tested Jules chair for 50-five kg, seat width is 35 cm, depth - 32 cm, the minimum and maximum seat height (adjustable): 38 50 cm and cm, respectively. These options are designed by IKEA to the student feel as comfortable as possible and will not prejudice their posture. By adjusting the height of the seat, the chair can be locked in any position, depending on the child's growth. KLEMENS - One of the few models which have versions, namely: 1. desk chair without armrests; 2. desk chair with armrests. Both options are shown in red and black colors. You have purchased KLEMENS Without armrests and regret it? No problem! Armrests can be purchased separately and easily fixed. This solution will cost exactly the same amount that you would spend with the purchase of a "full" option that provides optimal comfort. The back of the CLEMENS is adjustable in height, which allows you to create a support for the waist and relieve tension from the back. The depth adjustment function provides support for the hips and back. The only disappointment from KLEMENS is a non-removable fabric cover, but from a fabric of this quality, any simple stains can be removed with a cloth cleaner or even a normal sponge dipped in water or a mild soap solution. STOLYAN - A model conference chairOne of the most important qualities, after komfotnosti, of course, is a convenience store directly linked with the possibility of stacking. STOLYAN - This variant, these chairs can be stacked up to 7 pieces. Surprise you, and wide range of colors: a combination of white and black, orange and black, blue and black, as well as the classical solution, completely black STOLYAN. Fabric seat base is made of th 100% polyester frame - of molded plywood eucalyptus filler - polyurethane foam. The official website of IKEA STOLYAN can be seen in the category of chairs for visitors. This item includes the cost of the chair to 3 6 thousand Russian rubles. So, this is Patrick VILGOT, NOMINELL, Gregory, LILLHOYDEN, Malcolm, SKRUVSTA and Torkel. PATRICK - Chair for visitors, or, as it is called, conference chair, presented in a fairly functional colors: blue and dark gray. Note that PATRICK tested for 110 kg, has the same depth and width of the seat - 40 cm, seat height is 41 see. This conference chair - one of the few who have been tested for compliance office use. The frame and legs of the chair PATRICK made of solid steel, the overall composition - mainly of wool with a little nylon (7%). Filler - cold, Highly resilient polyurethane foam. VILGOT with armrests and without them (set of armrests series NOMINEL can be purchased separately) - Rotating office chair in red, blue and black colors. The armrest is recommended in order to relieve muscle tension from the shoulders and arms. VILGOT seat consists of molded plywood eucalyptus and polyurethane foam. VILGOT has a set of basic functions: seat height adjustment, increase and decrease of the angle of inclination, rubber coating wheels. VILGOT also has a number of additional features, such as, for example, the mesh on the back, which helps to pass air, as well as support in the lumbar region, which ensures comfort. NOMINEL - Traditional option chairs with armrests for attachment to relieve muscle tension. Seat - plywood and polyurethane foam. Fixed Case 100% th cotton can be cleaned by special upholstery shampoo or a mild soapy solution and wipe - clean, dry cloth. The manufacturer offers NOMINELL only in black. Another Armchairs for offices - Malcolm. This, in our opinion, the most solid and stylish option Office chairs for executives. Black, beige, brown colors will suit any decor and can satisfy any taste. This is the most comfortable chair in which, among other things, thanks to designer Ola Wihlborg, there is nothing superfluous. Work chair Malcolm tested for residential use, as well as for compliance with safety and durability. The coating is made of leatherette and filling - polyurethane foam. The width and depth of the seat - 52 45 cm and cm, respectively, and the seat height can be adjusted from the 45 58 see to see. GREGOR - Office chair, or desk chair, which has an "air" appearance due to their thin braided back and armrests. It is proposed to chair GREGOR in two colors - white and black. The seat and back are made of unbleached GREGOR paper and covered with transparent acrylic varnish. The overall composition of the chair GREGOR is made of polyester and cotton in relation to 65% 35%. Weight chairs small - 11,9 kg. LILLHOYDEN is a glamorous kind of chair in three colors - white white, black and gray with ornament. Adjustable seat height for maximum comfort. Dimensions LILLHOYDEN - 204x204x73 see. It has a removable cover that can be cleaned in dry cleaning and iron on average temperaturaturnom mode. Seat frame made of molded plywood eucalyptus and filling - polyurethane foam 35kg / cu.m. Fabric: viscose / rayon, linen, polyester. SKRUVSTA - working office chair on wheels, which are automatically locked if necessary. Tissue seat part consists of cotton and polyester, which can be easily cleaned, if necessary with a wet sponge. Frame SKRUVSTA made of chipboard and polystyrene-based foam. The dimensions of the chair, taking into account the maximum parameters: height - 79-86 cm, height adjustable seat - 47-55 cm, width and depth of the seat - 48 and 45 cm, respectively. SKRUVSTA amazing variety of colors: classic white and black, practical gray, "cheerful" mayviken colorful and bright red-orange. Torkel - Classic black office chair for home and residential use. This work chair is adjustable in height and angle adjustment. Rubber coating wheels solves the problem with possible damage flooring. Back frame made of stainless steel, and the seat of the filler polyester cotton and polyurethane foam armrest - made of polypropylene, upholstered in fabric consisting of polyester (75%) and cotton (25%). We call this category of high price range (from 6999 Russian rubles) to emphasize that these chairs are not only more expensive than others, but also more interesting in appearance, presentable and very reliable. So, the first chair in this category - VILLSTADIt was created with the participation of the designer by the name of Carl Öjerstam. VILLSTAD tested for compliance with all necessary standards. Washstad cannot be washed and dry-cleaned, but it can be cleaned with a special shampoo for furniture or a vacuum cleaner. Colors in which the chair is presented: anthracite and turquoise. The general composition of the working chair mainly consists of polyester and 3% nylon. The seat cushion and the back are made of polyester wadding and highly elastic cold polyurethane foam, which provides maximum comfort, and due to this the chair will retain its shape for many years. The upper part of the armrest is covered with genuine leather. Dimensions VILLSTAD: depth - 56 cm, height - 95 cm, width - 56 cm. - Combined: green, blue or dark gray and black. Bright distinctive feature of the chair is a removable headrest Wolmar, which serves to provide maximum comfort. Removable armrests make it possible to sit back and taking a comfortable position, a break during the working day, removing fatigue with spine and hands. By the way, tested chair 110 kg and has a height in the entire 121 cm, with a maximum height of seat 57 cm (minimum seat height is 40 cm). These parameters are adjustable and can create comfort to a seated regardless of its growth. In order to provide support for the back and thighs, seat depth is also adjustable. Pay attention to the availability of support in the lumbar region for added convenience. As for the cleaning of Wolmar dyed leather with embossed treated pigmented surface, the best results can be achieved with a regular office chair surface treatment agents for skin care from the series ABSORB. Another extraordinary model presented in this category - office chair MARKUS. His "highlight" is a transparent mesh padded back panel, which allow air to pass. The color scheme is bright enough and will satisfy, as it seems, everyone: black, green, orange and blue. MARCUS has a set of advanced features and options: tilt, tilt lock, support in the lumbar region, height adjustment, rubber coated wheels, etc. The minimum and maximum height MARCUS considering adjustments - from the 133 143 to refer to the height of the seat from the 45 57 to see. Office chair, or, more precisely, conference chair FELLBERGET adjustable seats, upholstered in wool fabric that is durable and dirt-repellent material is tested and approved for office use. The overall composition of the chair is made of 100% wool and frame - oak veneer, which is a very environmentally friendly solution. Presented chair just one color, but, nevertheless, it is sufficiently "non-binding" and can go to almost any interior. The depth and width FELLBERGET - On 67 cm seat height is adjustable from 43 86 to see. In our review we have tried to consider all options office chairs from IKEA and we hope that this will help you in choosing your option of working chair.